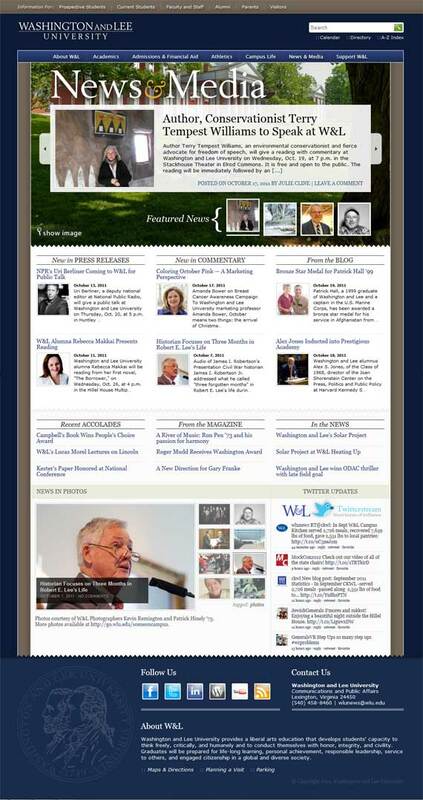 The Washington and Lee University What’s News Blog has moved to a new home at http://news.blogs.wlu.edu. The new site contains blog items, commentary, press releases, accolades and news in photos. The site also allows for subscriptions to a weekly email news digest to keep you informed about W&L. Please update bookmarks to the new site.